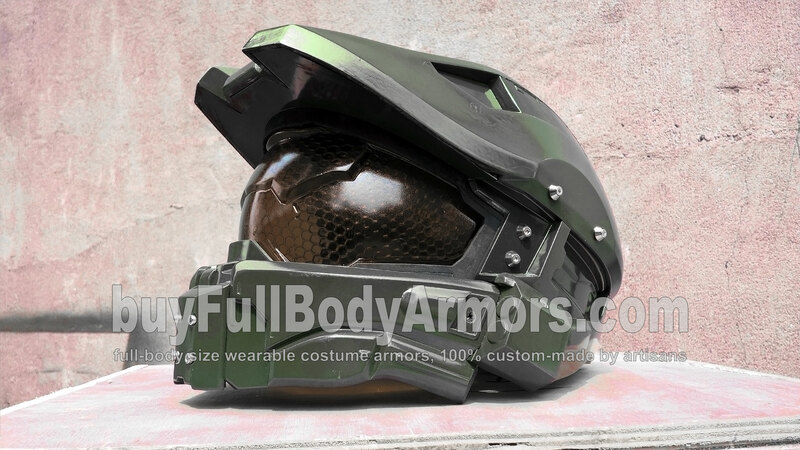 Our design and development team has been working on the new face shield of the wearable Halo 5 Guardians John-117 Master Chief helmet armor. 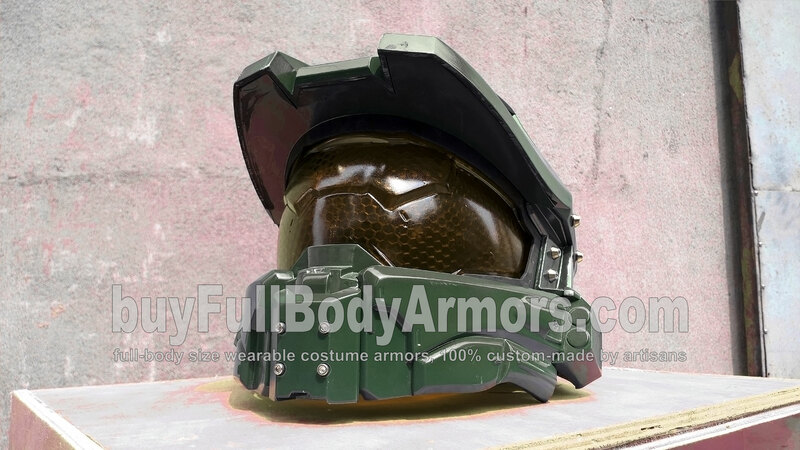 Their aim is always simple and clear - to make all our armors and suits, including the wearable Halo 5 Master Chief armor suit, as realistic as possible and as movie-accurate as possible. They are still improving some details. Let's take a glance at the current progress of their hard work. 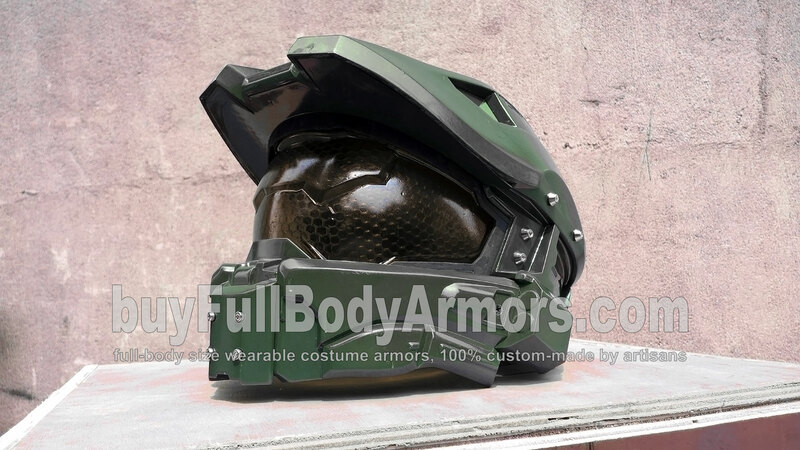 This entry was posted in News and tagged Halo armor,Halo Master Chief costume,Halo costume,Halo Master Chief armor,Halo Master Chief suit,Halo suit,Halo helmet,Halo Master Chief helmet,Halo 5 Guardians armor,Halo 5 John-117 armor,Halo 5 Guardians costume,Halo 5 John-117 costume,Halo 5 Guardians suit,Halo 5 John-117 suit,Halo 5 Guardians helmet,Halo 5 John-117 helmet on Apr 13,2016. Pre-order Will Begin In 24 hours! 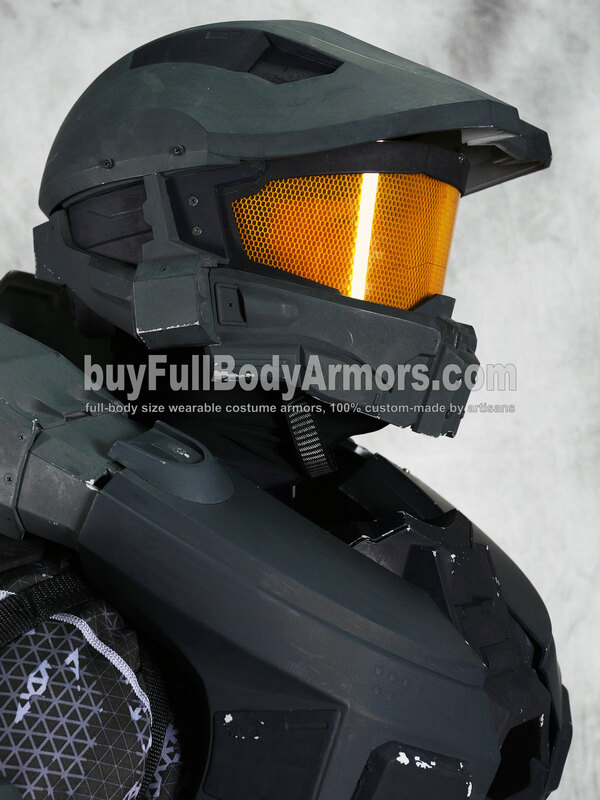 The Wearable Halo 5 Master Chief Armor Suit Costume Design Is Approved! 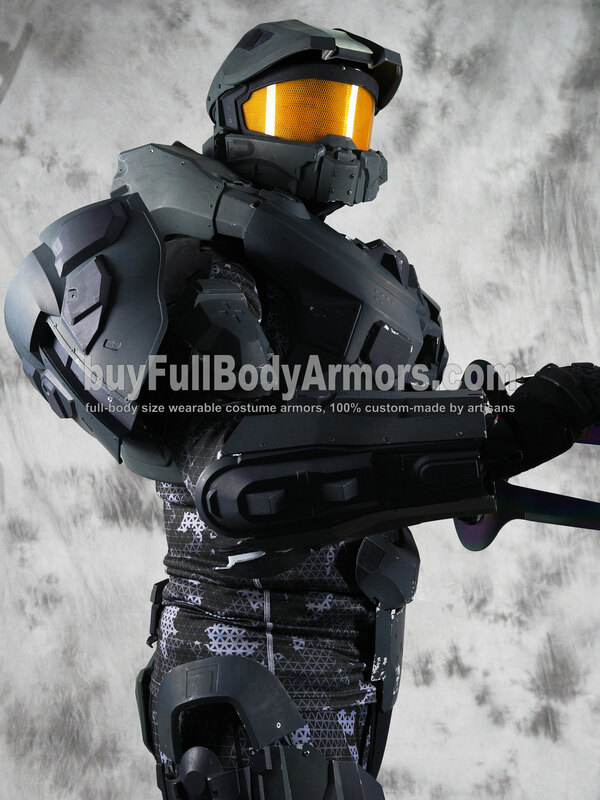 We invited some Halo game fans to test the wearing experience and overall presentation of the wearable Halo 5 Master Chief armor suit costume last week. After then, we made several improvements for the articulated structures and wearing system of the suit according to their feedback. We now think that we are ready to build the rest part of the suit and start to take preorders. Start to produce orders from March 15th and deliver the first suit by March 25th. 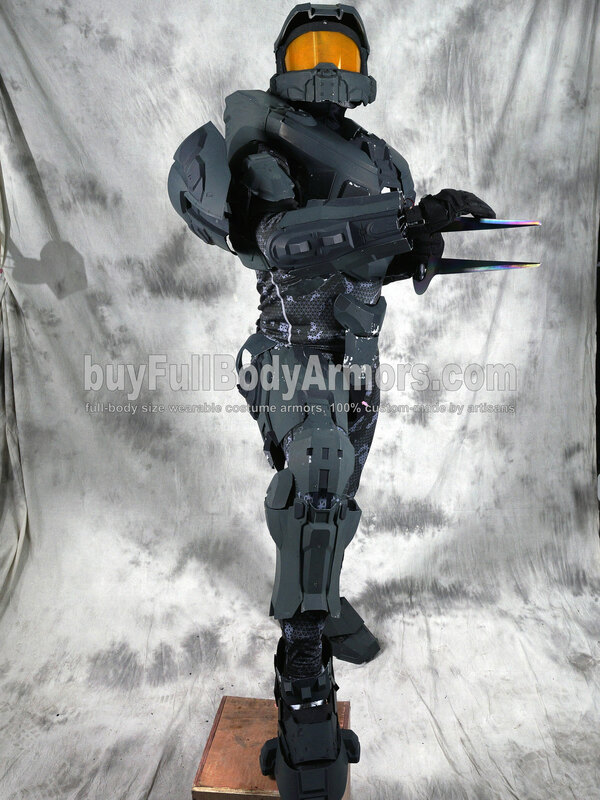 This entry was posted in News,Halo 5 Master Chief Armor Wearable Suit Costume R&D Full History and tagged Halo armor,wearable Halo costume,wearable Halo Master Chief armor,wearable Halo Master Chief suit,wearable Halo armor for sale,Halo Master Chief costume for sale,Halo Master Chief helmet for sale,Halo costume,buy Halo suit,full size Halo armor,full size Halo suit,full size Halo costume,full size Master Chief armor,full size Master Chief suit,full size Master Chief costume on Feb 12,2016. 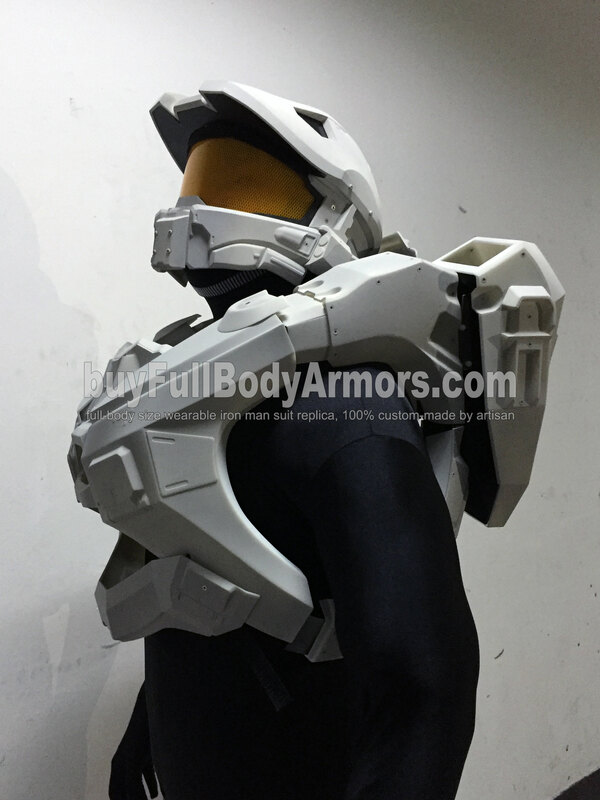 Here is a new progress report of the Halo 5 Master Chief armor suit building. 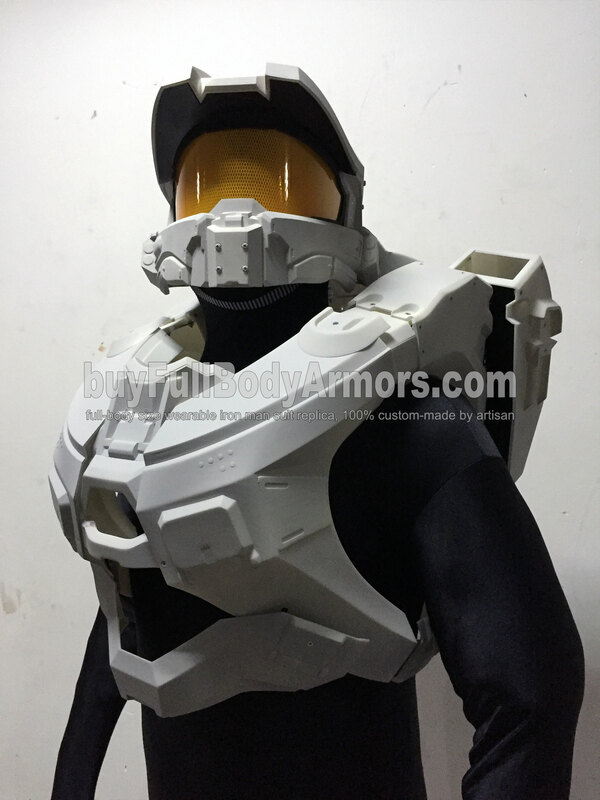 We are proudly to announce that the wearing system and supporting structure for the Master Chief's helmet and chest & back armor are now finished. Enjoy it! 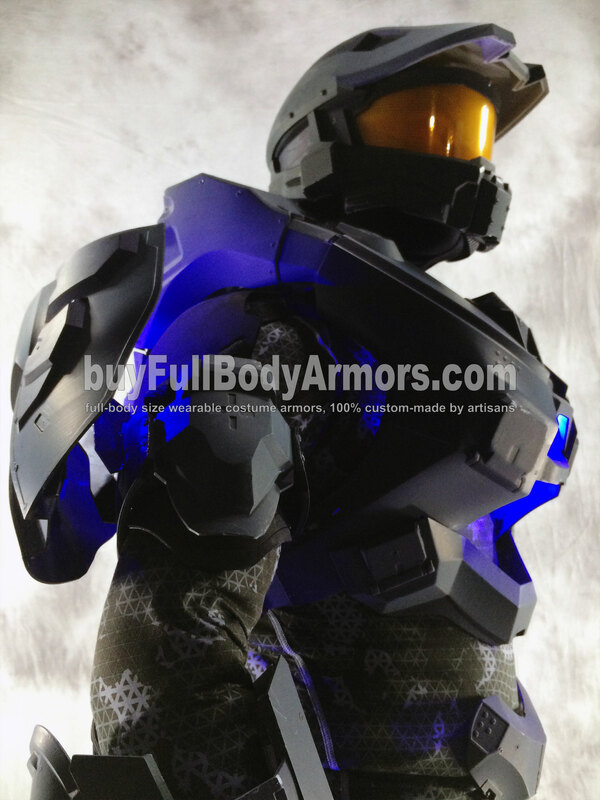 This entry was posted in News,Halo 5 Master Chief Armor Wearable Suit Costume R&D Full History,Halo 5 Master Chief Armor Wearable Suit Costume R&D Milestones and tagged Halo armor,Halo Master Chief costume,Halo Master Chief suit for sale,Halo costume,Halo Master Chief armor,Halo Master Chief suit,Halo suit,Halo helmet,Halo Master Chief helmet,buy Halo Master Chief armor,full size Halo armor,full size Halo suit,full size Halo costume,full size Master Chief armor,full size Master Chief suit,full size Master Chief costume on Dec 19,2015.